October 2nd & 3rd, 2019 Grand Fall Tournament Swing into Action! Reserve now and get a personalized kit! 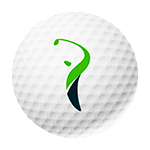 Two-day tournament, 36 holes, hotel – golf course – hotel transportation, shared golf cart, box lunch, snacks and beverages, prizes for the first three places, special prize “O’yes!”. Promotions valid from April 1st to May 15th, 2019. Restrictions apply, not combinable with other promotions. Club Sunset and Club Hacienda Tres Ríos present the first Club Sunset Golf Invitational tournament, An event designed exclusively for our Members, where you’ll be able to compete, as well as enjoy the wonderful Mexican Caribbean at two of the best golf courses in Cancún. You’ll have two days to swing into action on the green during this 36-hole friendly tournament held at Puerto Cancún Golf Course and El Tinto Golf Course. *The gift kit will only be personalized for players who confirm their subscription before May 15th, 2019. 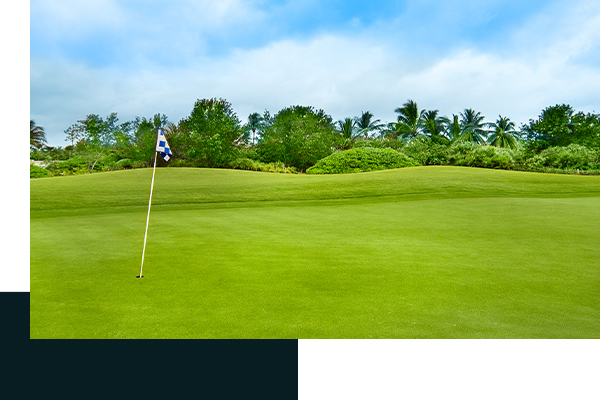 This course is located just minutes away from Cancún’s International Airport, and was designed by renowned pro golfer Nick Price. It covers 7,435 yards and is surrounded by beautiful local flora, with over 84 bunkers and five lakes; it offers challenges for all type of players. 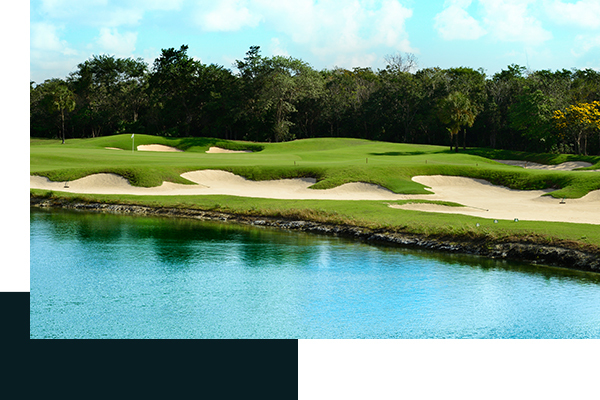 This course is nestled in a private, exclusive area in Cancún. Designed by Tom Weiskopf, British Open champion, this 7,241-yard course combines nature and modernism, and it is surrounded by a 183-acre ecological reserve. It has holes near the canals and two holes with views of the stunning Caribbean Sea.